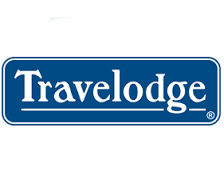 Travelodge Santa Monica is located on Pico Blvd, 31 blocks from the beach. Fairly quick trip via car or bus. Santa Monica Big Blue Bus offers a bus, Line 7 directly to Downtown Santa Monica just steps outside of the hotel. Convenient location and food available at an affordable cost.